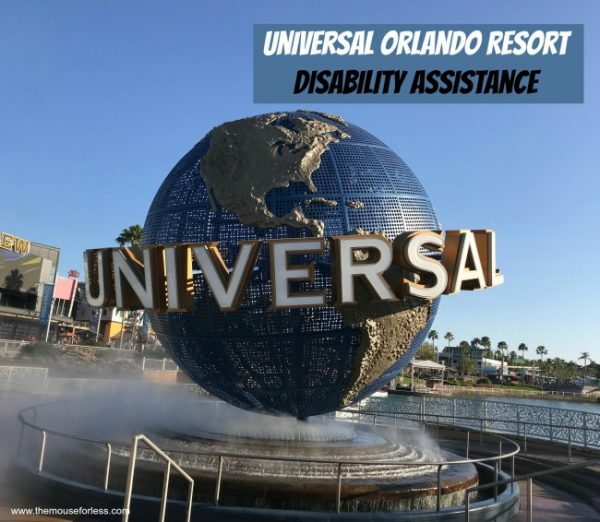 Universal Studios Florida and Islands of Adventure offer closed captioning and assistive listening devices for a deposit. Guidebooks, as well as attraction scripts, are available at Guest Services in Universal Studios and Islands of Adventure. In addition, Telecommunication Devices for the Deaf (TDDs) can be found at Guest Services Offices and Health Services. Finally, pay telephones with amplification can be found throughout both theme parks and CityWalk. All Universal Orlando Resort’s shopping and dining facilities are wheelchair accessible. Additionally, the outdoor stage shows have an area reserved for guests with disabilities. Also, all queues with the exception of Pteranodon Flyers are fully accessible by wheelchair. Finally, each attraction has specific boarding requirements, please see Universal Orlando Resort Rider’s Guide for specific attraction information. Numerous attractions at Universal Orlando Resorts allow the guest to remain in their manual wheelchair throughout the duration of the ride. However, none of the rides at Universal Orlando Resorts will allow a guest in a electric wheelchair or electric convenience vehicles (ECV) to remain in their chair, with the exception of the Hogwarts Express. A manual wheelchair can be provided for the guest at each of those locations that the guest in remain in for the duration of the ride. Guests must adhere to Universal’s safe usage policy for powered mobility devices. Guests using powered mobility devices must operate them at a safe speed equivalent or slightly slower than surrounding pedestrians; powered mobility devices are prohibited on escalators and must utilize elevators; Guests using powered mobility devices must power down and remove keys (as applicable) when left unattended; Guests using powered mobility devices are responsible for any harm, damages, or injury caused to any person or property caused by the powered mobility device user’s intentional, reckless, or negligent usage of the powered mobility device; the Park is not responsible for any harm or damage caused to any powered mobility device by other Park Guests, or while a powered mobility device is left unattended, or while a powered mobility device is used in violation of these rules. Service Animals are always welcome at Universal Orlando merchandise locations, restaurants, attraction queues and most locations at Universal Orlando. In addition, portable kennels are available for your animal while you enjoy many of Universal’s rides. Please contact an attendant at any of the rides or shows for further assistance. Due to the nature of certain attractions Universal Orlando requires all guests riding the following rides to remove all prosthetic limbs. This is to avoid loss due to ride force as well as prevent hazards. Those rides include: Pteranodon Flyers and Hollywood Rip Ride Rockit. In addition while riding the following rides, guests should properly secure or remove prosthetic limbs: Doctors Doom Freefall, Dudley Do-Right’s Ripsaw Falls, Flight of the Hippogriff, Harry Potter and the Forbidden Journey, The Incredible Hulk Coaster, Jurassic Park River Adventure, Revenge of the Mummy, Woody Woodpecker’s Nuthouse Coaster and finally Harry Potter and the Escape from Gringotts. Many of the attractions can accommodate a guest with a white cane or provide a basket or receptacle in which to place the cane in the ride vehicle. Some of the attractions require the cane to be collapsed. Other attractions canes are not allowed on the ride due to the risk of potential hazard. The risks include loss due to the force of the ride or hazards to other guests. At these rides the Attraction Attendant will hold the white cane once the guest has boarded the ride and provide the cane as soon as the ride comes to a stop. Finally, for those guests whose disability prevents them from waiting in the line queue may obtain an Attraction Assistance Pass. Visit Guest Services for details and to obtain a pass. Once the pass is obtained the rider will approach the Attraction Attendant who will then provide the guest with a return time which matches the current queue time. Finally, when the guest returns, they will then enter through the Express Pass Entrance and wait in the shorter line. This Attraction Assistance Pass doesn’t provide immediate access to the ride, but does provide a shorter wait for the ride.